Thor’s Hammer light design, familiar grille denote new-breed Volvos. As members of the car-buying public, we’ve spent our lifetimes compromising when it comes to car-buying. We might want something sporty, great looking, and quick, but we also have families who require that our first choice becomes solid, roomy and safe. We’ve also watched as most companies tried to make their cars as attractive as possible, then added stuff on in hopes of making them safer. 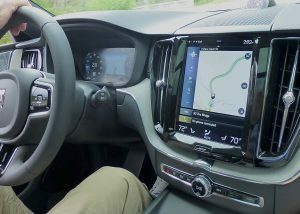 Because of all that, and what we’ve observed, and the small portions that we’ve learned, you’ve got to hand it to Volvo, which seems to have gotten to the sweet spot in the compromise by sticking to safety and letting stuff like luxury, attractiveness and performance come along at its own, leisurely pace. From my vantage point, it appears Volvo has found the hot button. My favorite, for now, is the new 2018 QX60, a compact, midsize SUV that does everything I could ever want in a vehicle. 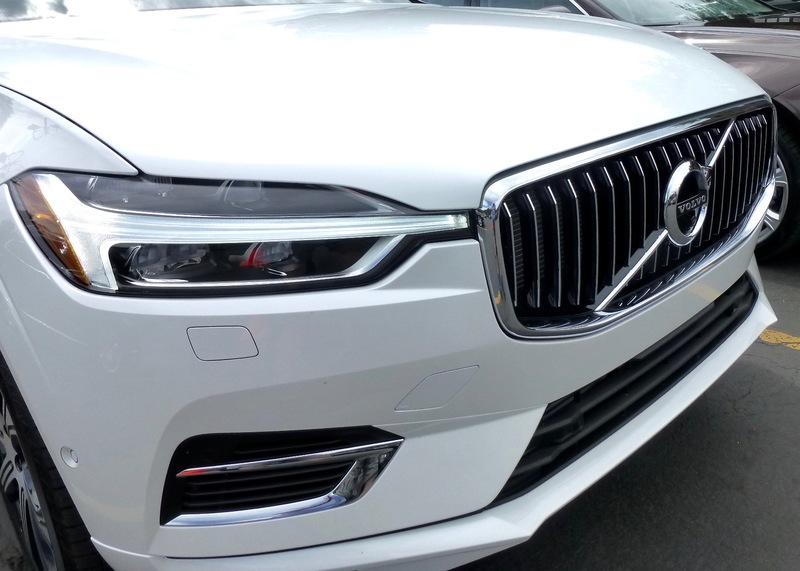 The 2018 array of models coming out with Volvo’s vehicles, with their slashed bar over the grille and “Thor’s Hammer” headlight design, come as close as it gets to being all things to all people. For a price, of course. Such quality and built-in safety and technology don’t come cheap. 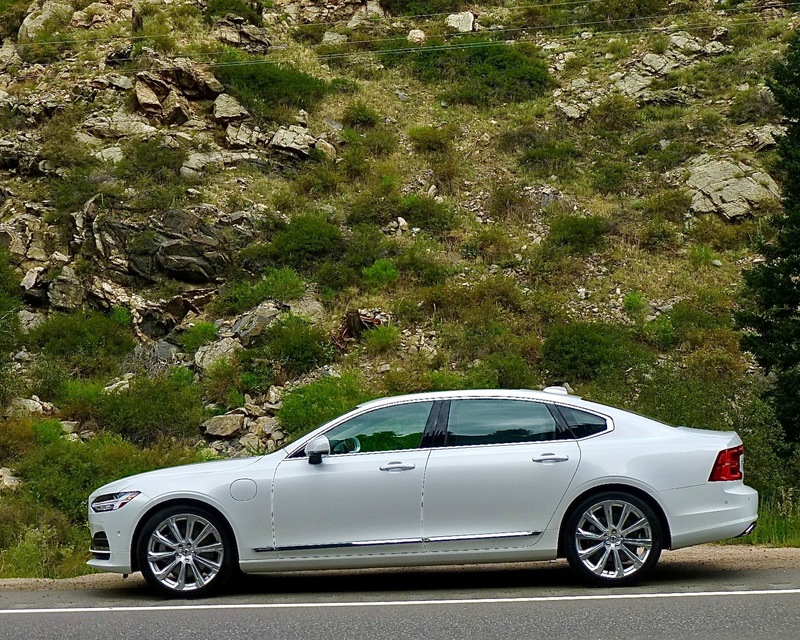 The S90 runs from $49,195 in base T5 Momentum form up to nearly $70,000 in loaded T8 all-wheel-drive top trim. The V90 ranges from $50,000 to $53,000 coming only with front-wheel drive. And the XC60 starts at $42,495 for the Momentum, $45,900 for the R-Design, and $46,300 for the Inscription, and all XC60s come with all-wheel drive. Lighter and more agile than the larger XC90, Volvo’s new XC60 gets the same drivetrain. Once a Swedish company that made rock-solid safe cars, then a Ford affiliate that made safer cars for different reasons, and now a Swedish company owned by a Chinese conglomerate that is making cars that fulfill every angle of every car compromise, Volvo has kept its eye on its own, stubborn target. Under the financial umbrella of Geely, Volvo is still headquartered in Gothenberg, Sweden, but it now makes some vehicles in China — where it is sure to be a huge seller — and is also building a state-of-the-art factory in the U.S. Through it all, Volvo has remained steadfast in its demand that its cars will always have safesty as a priority, and will not compromise for any other attributes that might seem more financially viable. Of course, when beauty came along, and a formula for building high-tech engines followed, Volvo was smart enough to incorporate everything under those stunning new bodies. I had the chance to road-test the new XC90 luxury SUV at its introduction, and I tried to contain my superlatives by saying it was, simply, the finest large SUV I had ever driven, or ridden in. I had chance to visit Spain last year for the world introduction of the S90, Volvo’s midsize large and luxurious new sedan that seems to do everything any German luxury sedan could imagine, and maybe with more comfort. Volvo’s biggest news this year was announcing that all of the vehicles it will build by 2025 will be electrified. Some naive media types jumped to the conclusion that all would be electric, but Volvo always meant that would include all electrified cars, including hybrids and plug-in hybrids as well as pure-electric.The hybrids, by definition, are electrified without being all-electric.But the hybrid models have impressive efficiency already. 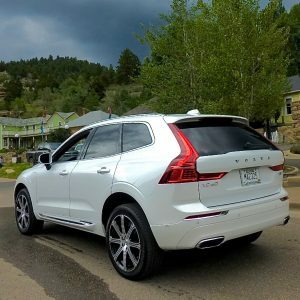 Earlier this summer, I got the chance to be whisked to Barcelona for the world introduction of the new XC60 — Volvo’s midsize SUV that seems to do everything the XC90 does, only quicker and with more agility, and a tad better fuel economy. After one year, the elongated version of S90 is the only one that will be sold in North America. But Volvo decided on a more economical way to reorganize its outburst of introductions. 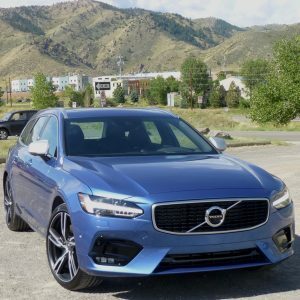 It set up camp in The Halcyon Hotel in the Denver suburb of Cherry Creek, summoning selected auto writers from everywhere to come and evaluate the 2018 crop of Volvos in the Rocky Mountains. Fantastic. The array as it stands now includes the S90 and the QX90, which are both powered by a turbocharged 2.0-liter 4-cylinder in T5 form, and both supercharged for low-end and turbocharged for high-end power for the optional upgrade and all-wheel-drive T6 models, then it adds a potent hybrid battery pack system on top of that for the ultimate T8 models. That’s significant because there were no XC90s or those familiar S90 sedans at our recent test time, because this was only for all-new new stuff. There were S90 sedans, but the 2018 S90 is an elongtated version of the S90 we experienced in Spain. The elongated version has 4.5 inches more rear legroom, and it fits the Asian trend to where important wealthier people like to ride in the rear seat, preferably chauffered, so stretching the rear passenger compartment is both logical and smart. My only criticism, I guess, is that since Volvo will continue to make both the normal size S90 and the elongated one, how come we only get the long version in North America, while the rest of the world can get the shorter, normal size? Both the S90 and XC90 have the same powertrain, and it’s true that the extra room in the rear is luxurious, but those of us who like a dose of agility in our driving might find the extra length slightly less maneuverable. We will not quarrel with the fact that it is quiet and smooth. 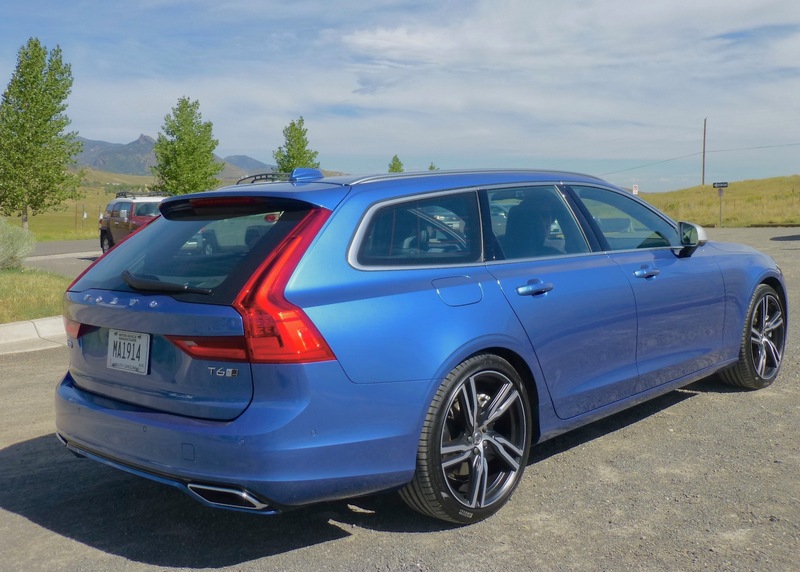 Slinky and stylish V90 Volvo wagon is like a more-streamlined sportier SUV. Meanwhile, there was more. Europeans have always liked their station wagons, even as the U.S. market turned to minivans and then large SUVs, midsize SUVs and compact SUVs. It seems that some European and Asian companies try to coax us into giving station wagons another try, but we’ve resisted. There is plenty to offer from such vehicles, however, because they are lower and sleeker and have just about as much room as their SUV brethren, and more flexible room than their sedan counterparts. So we got a chance to drive some Volvo V90 wagons, and there can be no argument that they handle well and make you forget you’re driving a wagon after a short time. The V90 offers fewer engine options, and I only drove the front-wheel-drive models, but I have to think AWD is coming soon. My priority to drive remained the XC60, because I like SUVs but I prefer compact ones, and the beauty of the XC60 is that its shorter, lighter and lacks the third row seat and room of the XC90, but it is more agile and feels quicker — and it still has the full complement of XC90 engines. The basic engines can be confusing, so we’ll try to limit them to overview. Remember, all are 2.0-liter 4-cylinder engines, with direct injection feeding their dual overhead camshafts. The T5 gets turbocharging, boosting power up to 250 horsepower and 256 foot-pounds of torque; the T6 with both supercharging and turbocharging turns out 316 horsepower and 295 foot-pounds of torque; and the T8, loaded with supercharger, turbocharger and the lithium-ion battery-powered hybrid boost system that has been increased from 9.2 to 10.4 killowatt-hours, delivers 400 horsepower and 472 foot-pounds of torque. All the new Volvo models have been revised inside, too, with lots of leather, real wood and high-tech instruments. Without question, the XC60, V90 and S90 have distinctly different personalities, even though they all share the VXC90/S90 appearance, which is smoothly aerodynamic, quick-responsing to the steering touch, and potent to the touch of your toe. And the interiors all share family traits of beautifully selected and blended mostly wood and leather materials, straightforward and easily read and operated gauges and controls, large and larger navigation/communication screens, and those seats. Since the 1960s, I have claimed that Volvo’s seats are the best in the industry, from the standpoints of safety and firm support. They have evolved over the decades, and the newest seats have been significantly improved under the guidance of Volvo’s selected orthopedic folks. And we haven’t even gotten arouind to the safety structure, which fits inside a chassis/body capsule made of five or six grades of steel, with the highest Boron in the pillars, on down to the weakest steel in areas where Volvo wants the car to absorb energy by bending more easily. Milan Ekholm is in charge of the enormous safety center at the Gothenberg plant in Sweden, and she explained the crumple zone construction and the vast concept of safety that consumes everything Volvo does. “All our cars have radar and cameras front and rear, and both sides, to help alert drivers to potential dangers,” she said. “We have a support system that includes City Safety to help alert you to avoid vehicles, pedestrians, cyclist and large animals, and BLIS (blind-spot alert), lane-departure warning and lane-departure assist, on-coming lane mitigation, and run-off-road mitigation, along with lane-keeping mitigation. Rocky Mountain backdrop was perfect for putting crisp-handling Volvo S90, XC60 and V90 through solid, secure paces. Ekholm said that she is also heavily involved in the autonomous-driving techniques at Volvo. With all manufacturers racing to create the most trustworthy self-driving vehicles, and we can assume Volvo is at the top of that game. “We have Pilot assist,” she said, “which hekps make the driver sure of who is in control. We don’t want the driver to be fooled by finding out the car is controlling things. Now that Volvo’s arsenal of vehicles is full…Oh, wait, it’s not? No. Next coming will be the further-downsized XC40 and its related S40 compact sedan. Both are coming soon, and in case the 2.0 engines are too powerful, Volvo is preparing a 3-cylinder turbo engine that should set new standards for power, agility and fuel economy. I’ve seen photos of the new XC40, and already I cant wait to drive it.